Starting university is a challenging experience, yet all we ever seem to hear before taking the plunge are good things: ‘you’ll become independent’, ‘you’ll make the best friends of your life’, ‘you’ll learn how to make the perfect bean and cheese toastie’, etc. But not everyone gets off to that dream start. People drop out of university, for whatever reason, and it’s not unusual. The frustration and disappointment of ‘failing’ may seem overwhelming at first, but there are ways of channelling these emotions into other pursuits and going on to achieve amazing things. Who better to start with than the world’s richest man? After completing around two years of his Harvard degree, Gates, along with high school friend Paul Allen, dropped out to pursue his own computer software company in the mid 70s. Forty-five years later and that pursuit has led to a rather well-known enterprise and an estimated net worth of $77.5 billion. It is thought that if Gates were to accidentally drop a wad of $1000 in cash, he’d have earnt double that amount in the 4 seconds it would take for him to pick it up. Unbeknownst to many, the British public’s favourite news presenter, Jon Snow, was thrown out of Liverpool University for taking part in an anti-apartheid rally in 1970. Instead of continuing his higher education elsewhere, though, Snow went into full-time employment at a day centre for homeless young people in London, before going on to secure a journalistic role at ITN and then Channel 4 News. So Jon Snow does know something after all. Proof that looks truly can get you anywhere – just kidding – the generic, dashingly handsome, ‘thinking woman’s man’ George Clooney dropped out of university twice before selling suits, cutting tobacco and eventually trying his hand at acting. 37 years later, the American actor, screenwriter, producer, director and activist has received three Golden Globe awards and two academy awards. 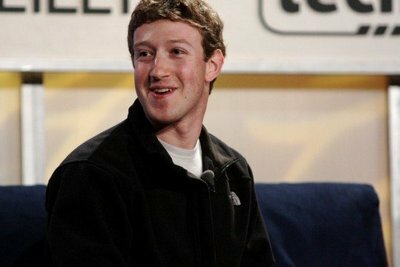 The legendary dropout that is Mark Zuckerberg, not only went on to amass an estimated $38.6 billion fortune thanks to a certain site you probably spend far too much time on, but also had a Hollywood blockbuster movie made about his rise to international distinction. Ironically, it was perhaps Zuckerberg’s own procrastination at university that has led to the principal means of our own procrastination on a daily – if not hourly – basis. Now there’s an inspirational university dropout. Award-winning British actress Kate Beckinsale spent three years as a Modern Languages student at New College, Oxford, during which time she made her on-screen debut in Much Ado About Nothing. Following a year abroad in Paris, she decided to abandon her studies in favour of pursuing her acting career. “It was getting to the point where I wasn’t enjoying either thing enough because both were very high pressure. I was burning out and I knew I had to make a choice”, the Pearl Harbor apparently said. After beginning a drama, politics and English degree at the University of Kent, Brit Award winner Ellie Goulding was spotted at a talent show and left university soon afterwards to concentrate full-time on singing and song-writing. Unsurprisingly it didn’t take long for Goulding to reach dizzy heights, with her debut album instantly reaching the number one in the UK albums chart. Believe it or not, one of the most influential (and brilliantly bearded) figures in human history didn’t actually complete his first foray into higher education at The University of Edinburgh Medical School. Apparently, he found his studies at the school – which was considered to be among the best at that time – boring and distressing, so he stopped attending lectures and eventually dropped out. However, Darwin later returned to university to study theology at Cambridge, where he developed the theory of evolution and effectively changed the notion of ‘logic’ forever. There probably aren’t too many instances of Dave Gorman cropping up beside Charles Darwin in any sort of article, but in this case he does so with as many merits intact. The British comedian known best for attempting to meet 54 other Dave Gormans, like Darwin, soon dropped out of university after a year of unfulfilling studies, but unlike Darwin, then signed on to the Enterprise Allowance Scheme as a stand-up comedian. One wonders if Charles Darwin could have done the same, but it is almost certain that Dave Gorman could never develop a human-history-changing theory, despite being a very funny bloke indeed. In 2003, at the age of just 19, America’s youngest self-made billionaire Elizabeth Holmes founded the biotech company, Theranos, after dropping out of Stanford University. The company has since revolutionised the US healthcare industry and is now worth roughly $10 billion, going to show that big ideas, no matter how seemingly inconceivable, are always worth pursuing. Some people, genius though they might be, are just not meant for the academic world, as was proven when guitar legend Eric Clapton was expelled from Kingston College of Art at the end of his first term for focusing too much of his time on music and not his studies. Thankfully, he agreed and chose not to protest the decision. If you’ve dropped out of university and would like to keep up your studies, take a look at some of the alternatives available.